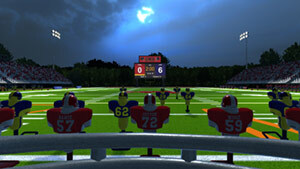 2MD: VR Football is virtual reality motion-controlled arcade-style football game. Each round lasts 2-minutes. Players take the role of a quarterback who needs to lead the team to victory in the final minutes of a championship game. Coming up to PlayStation VR this Spring (2018). Downward Spiral: Horus Station is a mysterious and atmospheric zero gravity thriller taking place in the lost and forgotten Horus Station. 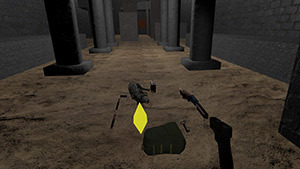 Idol Quest Vr is a single-player exploration adventure shooter where the player needs to discover the lost idol while trying to solve puzzles and avoid or defend itself against dangerous wildlife in a large open environment. The game features natural and artificial locomotion play styles. You can run, swim, and climb as you find fit. 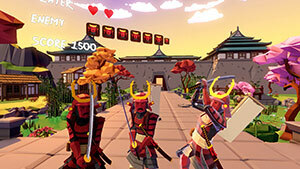 Virtual Ninja VR is a VR shooting & slice action arcade game where you play as a Ninja and need to defeat enemies using your shuriken and a katana sword. Baby Hands is a family-friendly sandbox experience VR baby simulator. You get to feel how it is like being a baby, crawl on the floor and play with all sorts of things like mini-games, solve puzzles, find easter eggs and more. 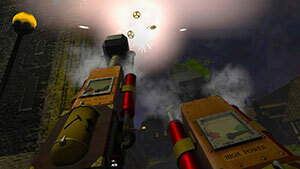 Seek & Destroy is a fast-paced crazy arcade action game in which you need to use your cool weapons to seek and destroy the enemy and rack up the biggest score. 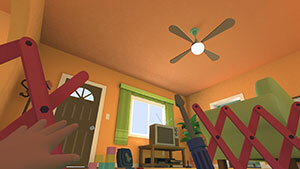 The game features over 36 different weapon combos and lots of things to smash and bash. In Death is a roguelite shooter set in the godless afterlife. 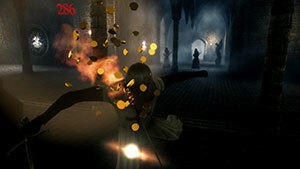 The player will need to battle through procedurally generated levels and dungeons in intense ranged combat. A stunning archery-focused medieval setting shooter that also supports the classic free movement style. Battle of Kings VR is an online multiplayer strategy tower defense game. 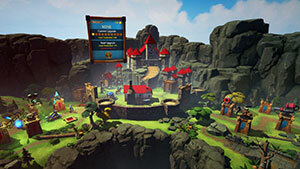 Players will need to use strategic skills to defend their castles, use economics, assemble and upgrade their army in order to be able to defeat the enemy forces. On this web page you can find a list of best and latest Mixed Reality VR games for Windows Mixed Reality. 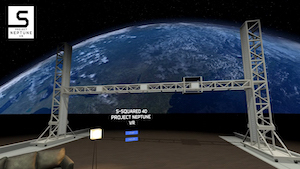 This VR game list is updated on an ongoing basis, including previews and reviews of recent games. We recommend subscribing to the browser notifications to get notified when we publish a new review and visit us daily to find out about new immersive Windows MR games to play. We are excited about Windows Mixed Reality as you are and we are doing our best to list all the latest and upcoming Windows MR games out there. If you are a developer and want your game to appear in this list, check out the 'Submit a Game' button on the sidebar and we'll do our best to add it as soon as possible. Windows Mixed Reality is a mixed reality platform that was developed by Microsoft. Players can experience games by buying any of the supported Mixed Reality headsets and playing them on a broad range of Windows 10 devices. Unlike HoloLens, those headsets work like a traditional VR headset, where you watch a screen in front of your eyes. Those headsets come with movement tracking capabilities, so they can track where you are in the virtual world. However, unlike traditional VR headset, a Mixed Reality headset also uses front-facing cameras, which are used to project real objects into the virtual world. 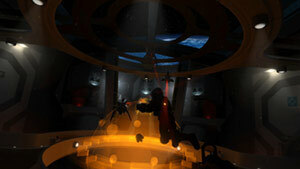 It also works the other way around by adding virtual objects to the real world as it seen on the headset's screen. The headset can also serve as a regular VR headset, which means that you just get to see virtual objects in the virtual world, the same as HTC Vive and Oculus Rift headsets work. Another main difference is that Windows Mixed Reality headsets employ built-in, or what Microsoft calls "inside-out tracking" or "world scale" components that allow the headset to track the movement of the user in the real physical space. This is unlike HTC Vive and Oculus Rift that requires a 360-degree tracking hardware to provide users with a room-scale VR experience. Of course, all the Windows Mixed Reality VR headset has to comply to specified minimum specs. This ensures compatibility with the apps and games across all devices. 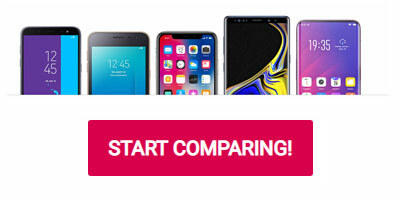 This included among the other hardware specs, a dual 1440x1440 pixel 90Hz refresh rate displays, 95-degree FOV, built-in tracking, 3.5mm headphone jack, and more. Furthermore, users will need to have a Windows 10 PC that complies with the minimum hardware specifications in order to be able to play MR and VR experiences in the same high-quality as Microsoft aimed for with this new technology. Windows VR is Microsoft's VR platform for Windows 10 (and up) operating system. You also might see the name Windows Mixed Reality which is the name of the type of headsets that work with that platform. Microsoft has decided to call it like that because it believes that in the future both AR and VR will be merged into a single device that will deliver both experiences without having the need for two separate devices. Windows VR comes with a built-in 6DoF movement tracking and therefore doesn't require external sensors like HTC Vive for example. The headset themselves have a front camera that is designed to track the controllers' movement in the 3D space. There is already a nice selection of Windows Mixed Reality headsets varied in prices from leading hardware manufacturers like Acer, Dell, Asus, Lenovo, and others. More companies will introduce their version of Windows Mixed REality headset in the upcoming months. Windows VR is an affordable way to get into VR on Windows. In this page, you can find a list of new Windows VR games, as well as the best and latest games, including reviews and previews. Don't forget to join our discussion forum to discuss everything about Windows VR / Windows Mixed Reality headset and what's coming out soon.